Sash Windows | Bedfordshire Windows Ltd.
Our Vertical Sliding Sash Windows are the perfect solution to any period property that should, and rightly so, maintain its traditional look. In keeping with the properties original features and character we also provide versatility of a sliding sash window that’s low maintenance, rattle-free modern construction and highly energy efficient. The construction of our PVC-U sliding sash windows compared to the more traditional timber box sash window differs most in the means of holding the sliding sashes in position. Instead of weights, pulleys and a cord, we build in a sophisticated set of spring and spiral balancers that maintain the sash retention. 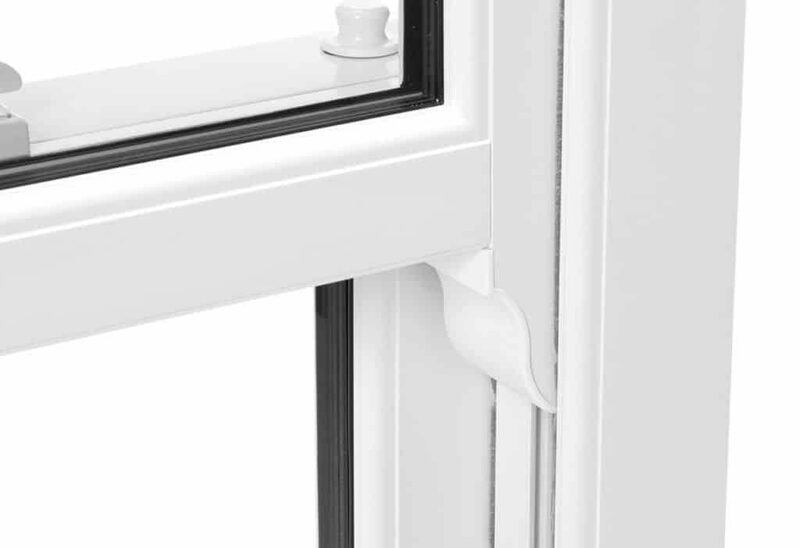 The design of these retainers enables the window to carry sash weights far greater than wooden frames offer. Its our pleasure to bring a beautiful period property back to its former glory that can be enjoyed for many years to come. The Bedfordshire Heritage PVC-U vertical sliding sash windows function primarily like a wooden box sash window with both the top and bottom sashes sliding up and down to suit your ventilation requirements. Windows are individually manufactured to meet exact customer requirements from a minimum 370mm in width and 740mm in height, up to a maximum of 1600mm in width and 3000mm in height. It’s the little details that help to make The Bedfordshire Heritage sliding sash windows as authentic as possible. Offering slim proﬁle sections giving a better appearance, which is pleasing to the eye as well as improving views from the inside and outside. To complete the timber-like appearance, our windows incorporate the same stylish features found on original timber sash windows such as Astragal glazing bars, decorative sash horns and traditional-style operating hardware. The jambs, sash sections and meeting rail are all engineered to look just like a timber sash window, giving you truly authentic looking new windows. Traditionally Timber box sash windows were always painted which you can replicate with our solid White and Cream colour options. If you want a more natural wood effect, our Crystal White, Cream, Golden Oak and Irish Oak foils give a realistic woodgrain appearance that mimics the grained texture and appearance of an original timber window. Other additional options are available such as Georgian or Astragal glazing bars and trickle vents, to give your new windows a truly authentic and classical vertical slider look. It truly is our pleasure to offer the beautiful finish of a Run Through Sash Horn to our sash windows. Elegant, traditional and the finishing touch you and your property deserve. 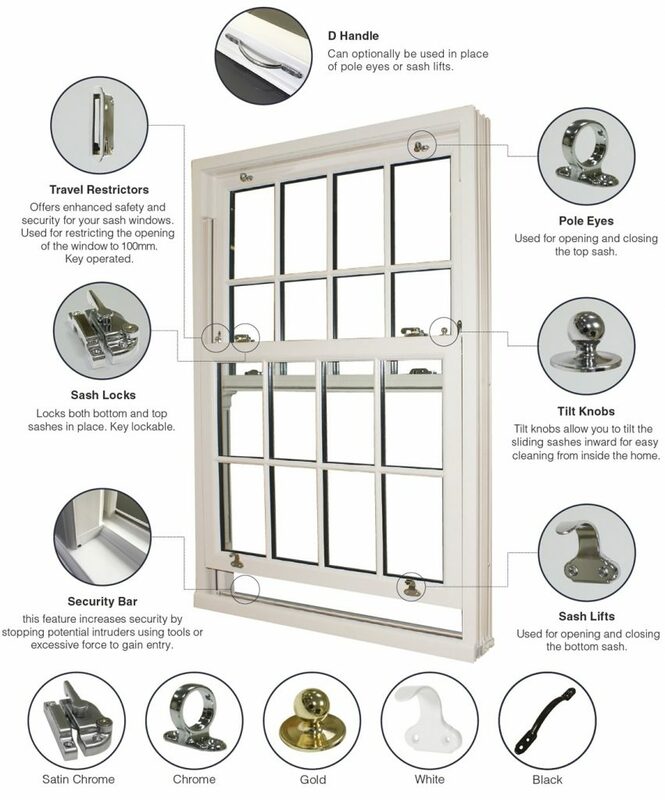 In addition to this, sash windows are designed to be extremely safe and secure. 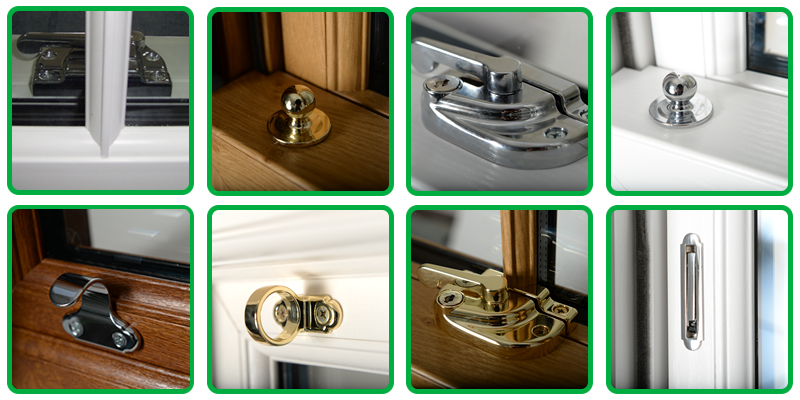 High performance locking systems keep your home safe from potential intruders to give you extra peace of mind. All windows are given energy ratings based on their ability to insulate your home Energy Ratings range from A to G. The Bedfordshire Heritage Range as standard will achieve A ratings but can achieve up to A+ Energy Ratings. Our stylish sash windows will make your home a warmer and more comfortable place to live, saving you money on your energy bills. Our low maintenance sash windows are easily accessible for cleaning purposes, requiring only a quick wipe down with a damp cloth to keep them looking as good as new. Tested independently by UKAS test house our Vertical Sliders hav been evaluated in accordance with BS.6375 Part 1 “Performance of Windows: Classification for Weathertightness” against the test assessment methods laid down in BS.5368 (Air Permeability, Watertightness and Wind Resistance) and has achieved outstanding results. 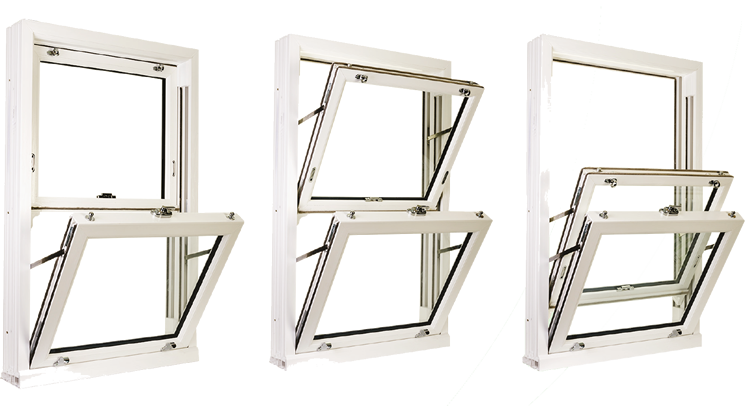 The figures achieved indicate that the tested Weather Performance Rating for our vertical sliding sash window will meet “Severe” weather conditions.